I’m old enough to remember when a U.S. senator could actually kill a woman and not only NOT resign but be considered a legislative luminary, the lion of the Democratic party. I’m hearing that Sen. Al Franken will be resigning his seat within the next day. Franken categorically denies the allegation but that hasn’t stopped an avalanche of senators from calling for his resignation, none of whom apparently have ever in their life tried to kiss someone who wasn’t interested. 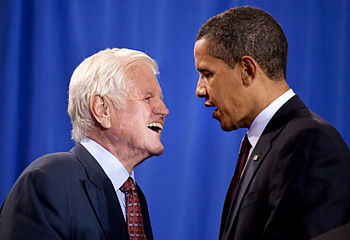 Satan and Ted Kennedy must be having a good laugh together. Those were the good old days, Ted. Pass the Jameson . . .